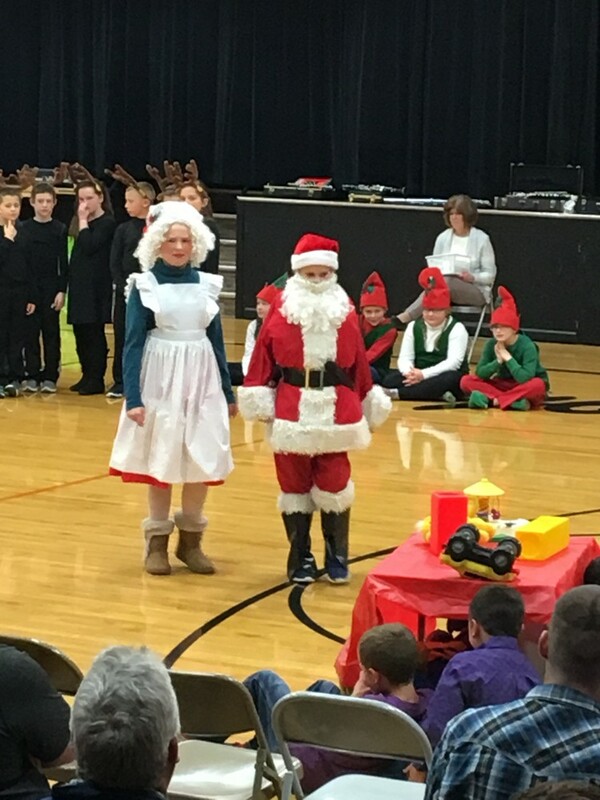 On Friday, December 15 the Chambers students presented, “How the Trumps Saved Christmas.” It was written and choreographed by Mr. Jacob Anderson and narrated by Mrs. Kerrie Lambert. The secondary band students performed several pieces of holiday music. The 5th and 6th grade bands also performed one song each. In the play the Christmas elves became ill and Scrooge and his many Minions saw this as an opportunity to ruin Christmas for all time. Scrooge and the Minions captured Santa and Mrs. Claus. However, Santa was able to contact President Trump and with his help they were able to “Make Christmas Great Again”.